The activity concerns the analysis, design, and implementation of machine learning methods for multimedia applications involving bio-medical images and image sequences. 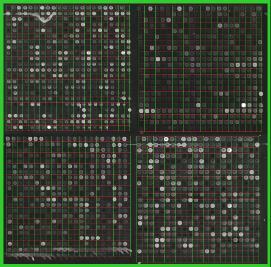 Microarray images: we proposed an automatic approach to gridding (also known as addressing or spot finding) in microarray images, based on the Orientation Matching and the Discrete Fourier Transforms . Dermoscopic images: we proposed an approach to the characterization of uncertain lesions, to detect characteristic profiles of benign and malignant lesions . Based on suitable multi-value descriptors (scalar, interval, and histogram data) extracted by dermoscopic images, it consists in selecting through discriminant analysis the most discriminating features and detecting through dynamic clustering the characteristic profiles. 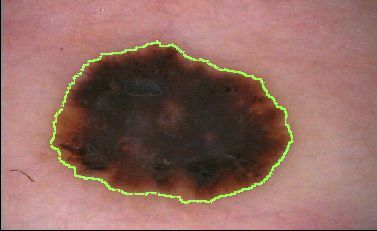 For the automatic segmentation of skin lesions in dermoscopic images, we proposed the SDI algorithm  and the SDI+ algorithm , extensively tested on the lesion segmentation dataset made available for the ISIC 2017 challenge on Skin Lesion Analysis Towards Melanoma Detection. ESC images: segmentation and classification of microscopy images aimed at identifying specific factors that control the differentiation of Embryonic Stem Cells via large-scale screenings . 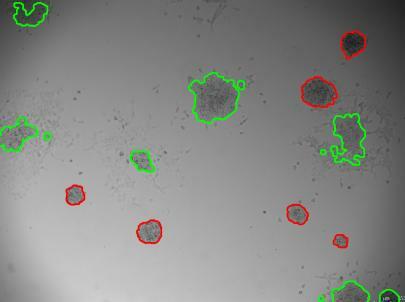 HeLa cell image sequences: segmentation, tracking, and lineage of HeLa cells from phase contrast microscopy time-lapse data . Omics Imaging: Integrating Imaging and Omics Data . 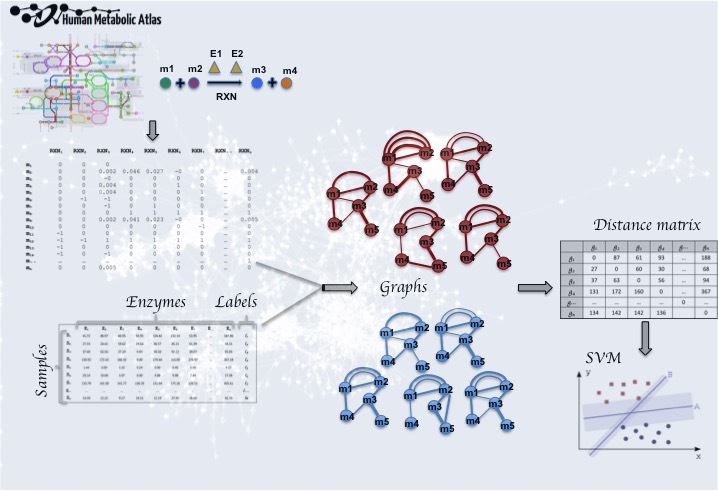 Metabolic Network Analysis: clustering  and classification . I. Granata, M.R. Guarracino, V. Kalyagin, L. Maddalena, I. Manipur, and P. Pardalos, Supervised Classification of Metabolic Networks, 2018 IEEE International Conference on Bioinformatics and Biomedicine (BIBM), Madrid, Spain, pp. 2688-2693, 2018. I. Manipur, I. Granata, L. Maddalena, K.P. Tripathi, and M.R.Guarracino, Clustering Analysis of Tumor Metabolic Networks, Bioinformatics and Computational Biology Conference (BBCC2018), Naples, November 2018. M. R. Guarracino and L. Maddalena, SDI+: a Novel Algorithm for Segmenting Dermoscopic Images, IEEE Journal of Biomedical and Health Informatics, 23(2), pp. 481-488, 2019. L. Casalino, M. R. Guarracino, and L. Maddalena, Imaging for High-Throughput Screening of Pluripotent Stem Cells, SIAM Conference on Imaging Science - IS18, Bologna, June 2018. L. Antonelli, M. R. Guarracino, L. Maddalena, and M. Sangiovanni, Integrating Imaging and Omics Data: A Review, 17th International Symposium on Mathematical and Computational Biology - BIOMAT 2017, Moscow (Russia), November 2017. M. R. Guarracino and L. Maddalena, Segmenting Dermoscopic Images, arXiv:1703.03186, 2017. L. Casalino, P. D’Ambra, M. R. Guarracino, A. Irpino, L. Maddalena, F. Maiorano, G. Minchiotti, E. J. Patriarca, Image Analysis and Classification for High-Throughput Screening of Embryonic Stem Cells, in V. Zazzu, M.B. Ferraro, and M.R. Guarracino (Eds. ), Mathematical Models in Biology, Springer, pp. 17-31, 2015. 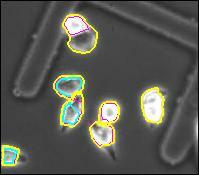 M. Sangiovanni, L. Maddalena, M. Guarracino, Following the Changes: HeLa cells Lineage from Phase Contrast Microscopy Time-Lapse Data in “6th International Workshop on Data Analysis Methods for Software Systems”, p. 45, December 2014. Image Segmentation and Classification for High-Throughput Screening of Microscopy Imagery, Conference Horizon 2020@DIITET, CNR, May 26-27, 2014. L. Maddalena, A. Petrosino, Metodi per l'Analisi di Immagini da Microarray, Tutorial “Metodi e Strumenti per l’analisi dei Dati di Espressione Genica”, Naples, December 2007.